And there are a host of others of a similar nature. Every one of these cases has involved the denial of a permanent residency (bar the Carias case which involved a tourist visa!) because one member of the family of the applicant had a disability or health condition of some kind. So let us look at the United Nations CRPD first. • The United Nations Convention on the Rights of Persons with Disabilities (CRPD) is the first binding international human rights instrument to explicitly address disability. The CRPD and its Optional Protocol opened for signature on 30 March 2007 and Australia became one of the original signatories. Australia ratified the CRPD in July 2008 and the Optional Protocol in 2009. The CRPD entered into force for Australia on 16 August 2008, and the Optional Protocol in 2009. • The purpose of the CRPD is to ‘promote, protect and ensure the full and equal enjoyment of all human rights and fundamental freedoms by all persons with disabilities, and to promote respect for their inherent dignity’. The CRPD consolidates existing international human rights obligations and clarifies their application to people with disabilities, rather than creating ‘new’ rights. 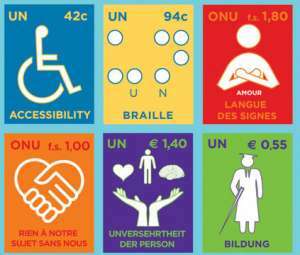 • In addition to the general principles and obligations contained in the CRPD, Article 12 underpins the ability of people with disability to achieve many of the other rights under the Convention. It recognises the right of people with disability to enjoy legal capacity ‘on an equal basis with others in all aspects of life’. “A 50-year-old woman with severe intellectual disabilities faces possible deportation next month and the prospect of spending the rest of her life in an Indian institution, after her mother’s visa application was rejected. In 2012, Florence Allen, 80, moved from India to Melbourne with her daughter Sheryil, who has autism. The pair migrated soon after Mrs Allen’s husband died, so her family could help care for Sheryil. Mrs Allen qualifies for an Aged Parent visa, but her application has been rejected because she has a dependent child with a disability. Florence and Sheryil Allen have been told they must now leave Australia by October 3. “To separate a family… just because of her,” Mrs Allen said through tears. Mrs Allen fears for her daughter’s well-being if they are forced to return to India. “Sheri won’t be able to survive there in India,” she said. Sheryil and Florence live in the home of daughter Jacqueline with Jaqueline’s husband and grandson. Sheryil goes to the day care centre 5 days a week and on the other 2 days she goes to each of her brothers homes. Florence is 80 years old and her activities are limited and she helps Jacqueline when she can with household duties and spends time with family and grandchildren and going to church with family. For the past five years Sheryil’s siblings, SisterJacqueline brothers Rayburne, Aldrin and Elroy along with our families have been providing emotional care and financial assistance to our aged mother and disabled sister. We pay for their private health insurance and our sister’s fees for the day program she attends. All their other expenses and needs have been provided by us without any burden to the Australian government. All of our immediate family brothers and sister of our dad’s along with their families and our first cousins have been helping out as well. Since our dad’s death, Florence and Sheryil have stayed and been cared for by one of Florence’s children in our homes. Florence will not be able to look after Sheryil if they are forced to return to India. There is absolutely no help in India, Florence’s aging and deteriorating health problems, and the lack of basic disability service for Sheryil worsens the situation.. Should they go back, there would be irreparable psychological and medical implications for both Florence and Sheryil which will surely result in decreased life expectancy for both of them. The argument being put by the Australian government is that this lady (Sheryil) represents a “burden” to the taxpayer. Leaving aside for a moment the sheer arrogance of considering a person with disability in economic terms of being a “burden” to the taxpayer, it is clearly evident from the testimony of the family that they will continue to provide any care that is required by her. They have submitted that to the Australian Government but this is simply ignored in breaching the conventions of the UNCRPD. Further, the argument that the taxpayer will be disadvantaged is actually completely fallacious. In the event that Sheryilreturns to India the family has indicated that they will establish a roster to take turns providing care there. In that event some of the time that they take off from here will mean income that would normally be derived and taxed here will not now be accruing to them. So, the opposite in fact is the case. If Sheryil returns to India then the taxpayer here will be disadvantaged. I have also spoken to two of my contacts in India to examine exactly the nature of Autism care that is available in India. There is little doubt that the standard of care is not of a similar nature to that available here. And it would seem almost certain that Sheryil will be institutionalised if she does return to India. Reconsider your stance on immigration and deportation as one day your human rights maybe in jeopardy. Start by looking at the tax benefits you give to multi-nationals making the rich richer!! Fairs fair give some dignity back to those who need help and maybe you will become a better person from it! Dear sir, it is unfortunate that disabled people are treated differently in Australia. They should have the same rights of living in a country like other people. They need to be supported by others for their well being. Considering them as a burden is very cruel and unjust to a vulnerable human being. Only human being can understand other human beings problems. Therefore we have to be better human beings. i strongly feel that this kind of law should not be existing in this modern world to treat differently disabled people. God gives them insight about this and i hope to see change in this law.